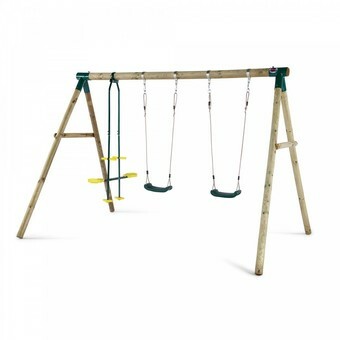 The Soulet Piment Swing Set offers a double swing with the extra challenge of a rope ladder on one end and a climbing rope at the other. 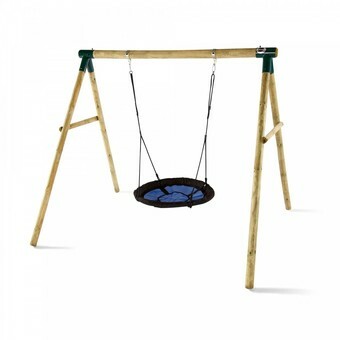 The Piment is styled to blend into the natural surroundings of your garden and offers great value whilst giving your child activity-packed outdoor fun. Manufactured from class IV autoclave treated wood from sustainable FSC forests which gives you a 10 year guarantee against wood rot and infestation. 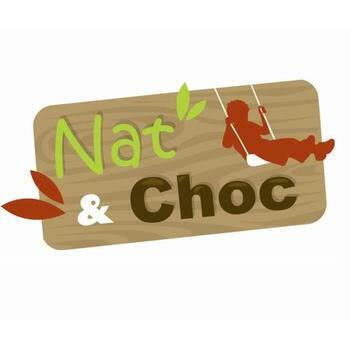 Safe for your child and the environment giving you peace of mind. Wood is a natural material; climatic changes contribute to cracks inside the wood. In hot, sunny weather the timber will shrink. Conversely in wet weather the wood will expand. Cracks in the wood, dependent on these weather conditions, are common, and do not affect the structural integrity of the wood. For more information on how weather will effect your frame, please use this link. Brilliant my kids love it. 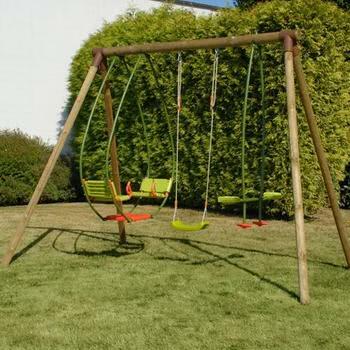 Fantasic swing set. Easy to put up too. Great delivery, actually came when they said it would. Defiantly will use you again. Not yet erected as its a present for a grandchild. Looks good so far. Was delivered in two parts but couriers were to blame. 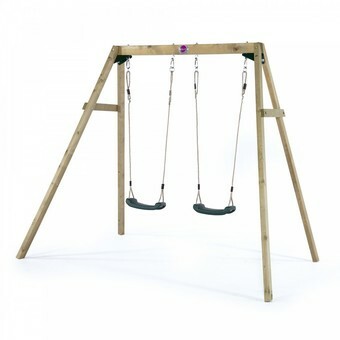 Extremely good value for money compared to other suppliers. Good value for money. purchased for my grandaughter and she loves it. 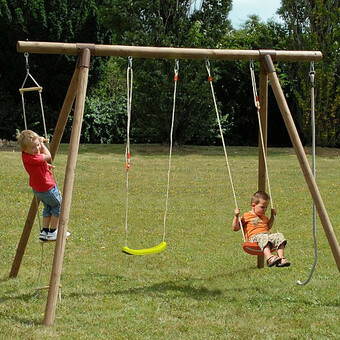 A: Yes, the swing is designed so it should be easy enough to swap out with any other swing seats. 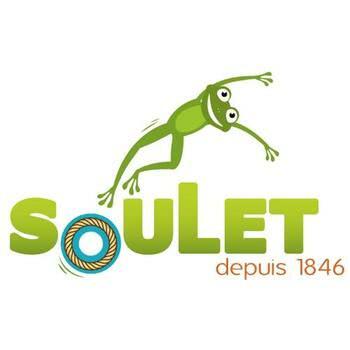 Need to know something about the Soulet Piment Swing Set? Leave your details and your question below and we'll email you the answer soon, as well as publishing the answer for future customers in the Questions section!